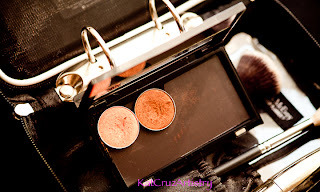 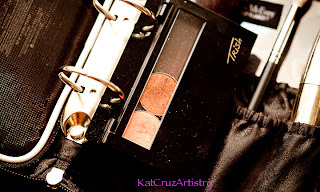 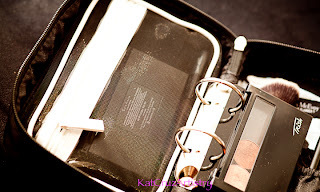 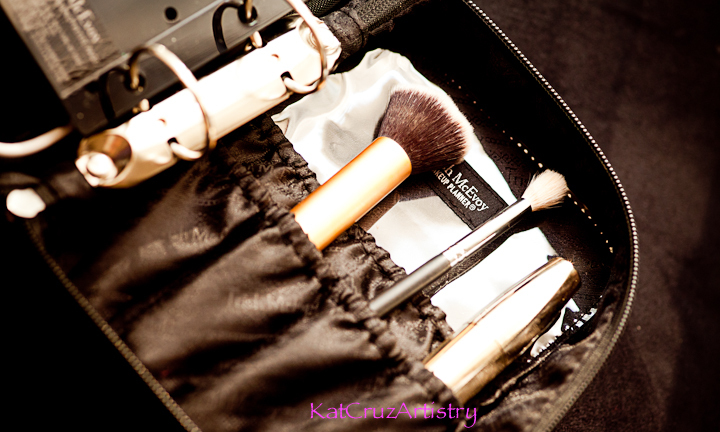 This is a great way to organize your makeup whether you're on the go or at home. This is designed to hold refillable eyeshadows in, with what's called "Makeup Wardrobe Pages". 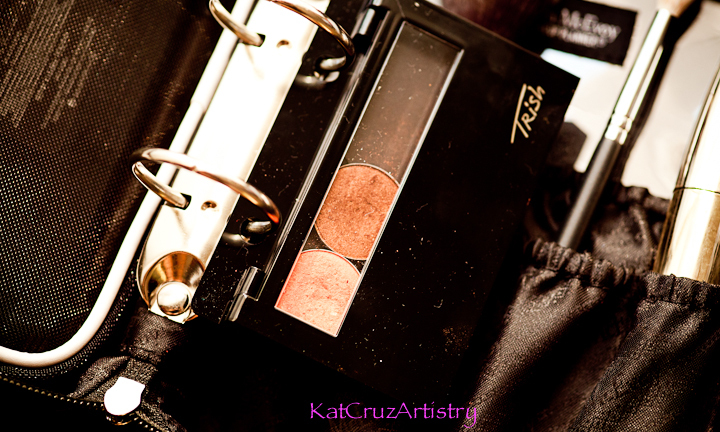 I put my MAC eyeshadows that is available in a pan or my Makeup geek's eyeshadows and it holds it in place. 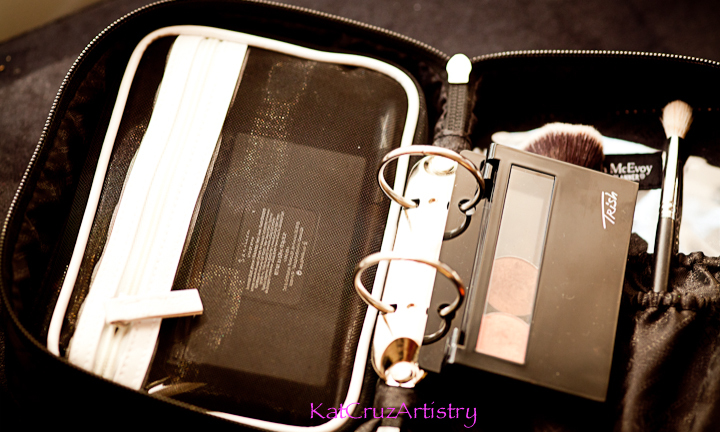 At the back, there's compartments that has enough room to put your brushes, mascara, eyeliner etc. 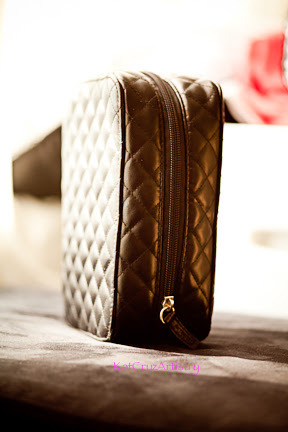 And a removable pouch with zipper that is good for additional beauty stuff.